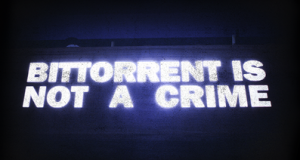 BitTorrent is the one name that most people will generally associate with the use of TV torrents online, but the site themselves are pressing to change their public image after further concerns. The company have launched a redesign of their webpages in an attempt to change perceptions that they are a hub of internet piracy, fiercely promoting their credentials for being a ‘legitimate file-sharing service’. BitTorrent are aware of the fact they are synonymous with the more underground activity on the internet, but maintain that their site is not built for that purpose, and through their ‘major redesign’ are now stressing that point with their new ‘Bundle’ format. This service is claimed to be an ‘experimental online store’ offering users site partner content to download for an ‘optional fee’, with one of the first partners to work under this method being the band Public Enemy with the release of their new single at the store. BitTorrent’s ‘vice-president of marketing’ Matt Mason spoke out in defence of his company and of the piracy ‘myth’, which he claims occurs ‘outside BitTorrent’s ecosystem’.